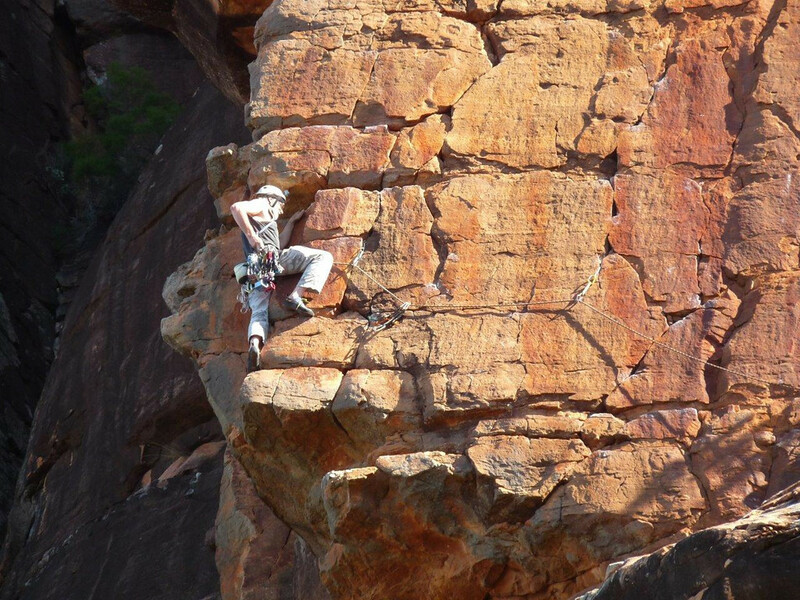 Moonarie, situated in the Ikara-Flinders Ranges National Park of South Australia, is one of Australia’s premier climbing destinations, offering brilliant single and multi-pitch trad climbing in a spectacular and remote desert setting. The climbing is mostly in the intermediate to hard range, on excellent quality, Arapiles-like rock, with classics starting around grade 15. 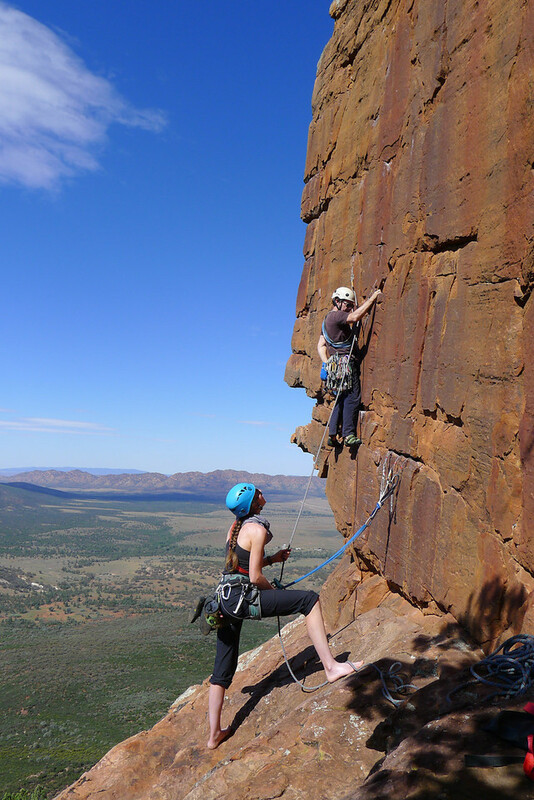 Aside from the fantastic climbing, the Wilpena Pound area, of which Moonarie makes up a small corner, also offers superb hiking and sightseeing for your rest days. 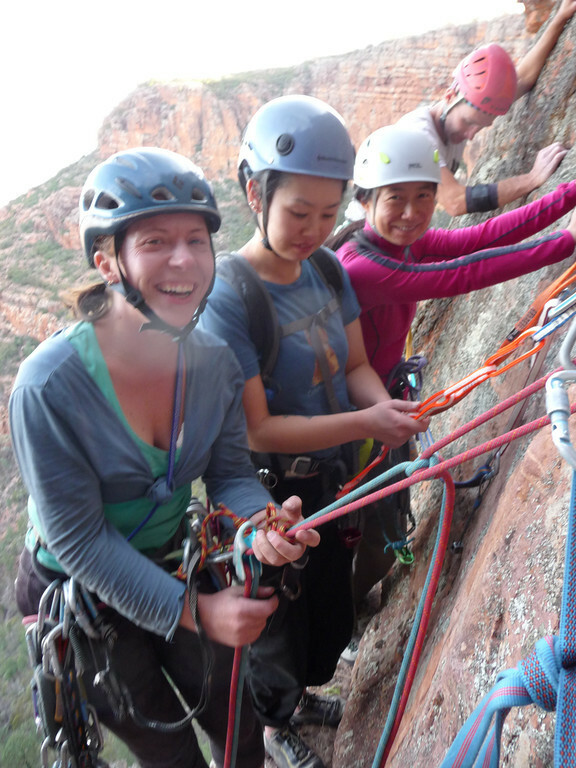 This trip is suitable for advanced and reasonably experienced intermediate climbers only. The trip will run for 10 days, including the Grand Final public holiday, and Moonarie’s location makes it possible to break up the long drive with an optional stopover at Arapiles along the way. Photo: Hanging out at the belay anchors. For more information, or to register your interest, contact the trip leader David Scarlett. All Photos: VCC Smugmug Gallery from previous Club Trips.